Junaid Khan (Pashto/Urdu: جنید خان‎; born 24 December 1989, Swabi District) is a Pakistani international cricketer who bowls left arm fast. He is the first player from Swabi to qualify for the Pakistan national cricket team, and his cousin, the leg-spinner Yasir Shah, followed his path later on. After an injury to Sohail Tanvir on the eve of the 2011 World Cup, Khan was called up as his replacement, with no experience in international cricket. Khan did not play in the tournament, and later made his ODI debut in April 2011. In June that year Khan represented Lancashire County Cricket Club in English domestic cricket. Junaid Khan is the first son of Zahir khan. 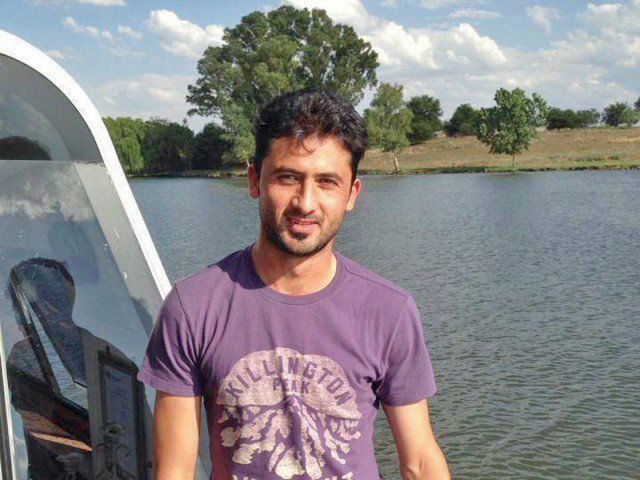 In an interview to Aaj News, when he was asked about marriage, he told that he has no plan of getting married at the moment.In late 2012, social media circles circulated rumors that Junaid Khan was a Carpet seller in his hometown. This was later questioned when his cousin claimed their grandfathers collectively own a tobacco business in Swabi, Khans' home town. Junaid has one younger brother, Tahir Khan, and two sisters, Knikhat and Farhat. Junaid Khan married Khansa Khan in February 2015. Khans' son died on April 28, 2016, he announced the tragic news on twitter. No cricket had come from Swabi before and Junaid Khan didn't take interest in cricket initially, he played with tape-ball & was introduced to hard ball set up by his cousin. At 16 years age Junaid Khan was measured as the fastest bowler in the NWFP Twenty/20 competition. 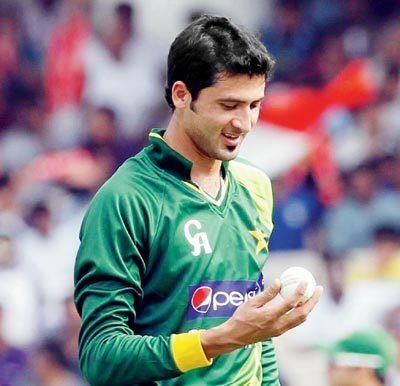 Junaid Khan said, "Some of my team mates suggested that I should go for the Under 17 trials Abbottabad. I was in two minds but afterwards I was relieved that I attended the trials, as Ehteshamuddin spotted me and told me that I had potential and that I should go to Lahore". Khan made his first-class debut on 24 January 2007 at the age of 17. Playing for Abbottabad against Multan, his first wicket was that of Majid Majeed. The match ended in a draw and Khan finished with four wickets for 57 runs (4/57). For four years he took wickets consistently for his domestic team Abottabad and he was the team's chief strike bowler, he also played for Abbottabad Falcons in the Faysal Bank Twenty20. In the 2008/09 season, Khan represented the Khan Research Laboratories cricket team and played for them in the final of the 2008/09 Quaid-i-Azam Trophy; he took a single wicket in the match as his team lost to Sialkot. Khan also played for Pakistan A. In the unofficial Test series between Pakistan A and Sri Lanka A in 2010, Junaid was his team's leading wicket-taker with ten from two matches. Following the recurrence of a knee injury to Sohail Tanvir, the uncapped Khan was added in Pakistan's squad for the 2011 World Cup. He did not play a single match in the tournament and was forced to wait for his ODI debut. When Pakistan toured the West Indies for two Tests, five ODIs, and a T20I in April and May Khan was included in the squad. On 21 April, Khan made his T20I debut and went wicketless in the match. Two days later, Khan, Mohammad Salman, and Hammad Azam made their ODI debuts against West Indies. Opening the bowling with Wahab Riaz, Khan conceded 49 runs from 10 overs without taking a wicket. Pakistan won the series 3–2 and Khan finished with three wickets from five matches, making him the team's fourth highest wicket-taker. His first ODI wicket was that of Marlon Samuels. In May, Pakistan toured Ireland for a two-match ODI series. Junaid was Man of the Match in the first fixture, taking four wickets for twelve runs to help Pakistan to a seven-wicket victory. Pakistan won the series 2–0 and Junaid finished as the second-highest wicket-taker for the series with six at an average of 10.83. 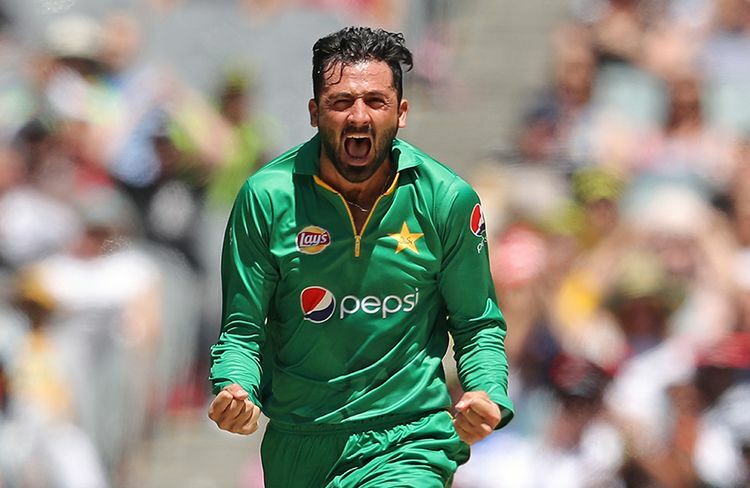 On the advice of former Pakistan and Lancashire all-rounder Wasim Akram, Lancashire signed Junaid Khan on "modest terms" according to coach Mike Watkinson to play for them in the Friends Life t20 in June with the possibility of playing in the County Championship. Problems with his visa meant Khan's Lancashire debut was delayed and it was not until 27 June that he represented Lancashire for the first time in a twenty20 match. Later that month Khan made his County Championship debut against Durham, stepping in for the injured Farveez Maharoof, Lancashire's other overseas player. While playing for Lancashire he took career best t20 bowling figures of 3/12 against the Derbyshire Falcons. During his spell with the club, Khan received advice from Akram on how to bowl in English conditions. In August, Khan was awarded a category C central contract with the Pakistan Cricket Board; six players were in category A, eight in B, and nine (including Khan) in C. When Pakistan toured Zimbabwe in September for a Test three ODIs and two T20Is, the national selectors took the opportunity to give inexperienced players an opportunity. Frontline bowlers Wahab Riaz and Umar Gul were rested and Khan was chosen as part of the squad. Although Khan had helped Lancashire reach t20 finals days, international selection meant that Khan would be unavailable to take part and would miss the end of the season with the club. On 1 September 2011, Khan made his Test debut against Zimbabwe; Pakistan's fast bowlers in the match were inexperienced, with just one Test cap between them. The coach, Waqar Younis, commented that though Khan had a successful spell with Lancashire he still had a lot to learn as a Test bowler. Khan's sole wicket in the match, which Pakistan won, was that of batsman Craig Ervine caught and bowled. The following month, Pakistan played Sri Lanka in three Test, five ODIs, and a T20I. On the opening day of the Test series, on a pitch suited to batting, Khan took his maiden five-wicket haul in Tests. Pakistan won the Test series 1–0, and Khan contributed 12 wickets to the victory. During the fifth ODI he suffered the first injury of his career: a partial tear of the muscles in his abdomen. As a result, he was unable to play for six weeks and missed Pakistan's tour of Bangladesh in November and December. His match winning performance also came during a T20 match against England. Junaid Khan got selected for the ODI squad for Australia's tour of Pakistan in UAE, August–September 2012, playing his first series against Australia. However he was excluded from the T20 side, hence being excluded from the T20 World Cup being held in Sri Lanka in September. This decision was criticised to be unjustified due to the selection of fast bowler Mohammad Sami and his recent performance against Sri Lanka. In December 2012, Junaid Khan was again picked for the series against India and was given a chance in the ODI series and he performed superbly by picking up 4 wickets in the first match (clean bowled Sehwag, Kohli, Yuvraj) and helped in Pakistan win in first ODI and again performed superbly in the second ODI and picked up three wickets including two top order vital wickets of Gambhir and Kohli. In November 2013, despite his injured shin, he successfully defended 9 runs off the final over in Port Elizabeth clinching Pakistan a 1 run win and Pakistan's first bilateral ODI series win against the Proteas. Junaid also has an impressive record against Sri Lanka, having played 13 games, 7 Tests and 6 ODIs. He has taken all four of his Test five-wicket hauls against Sri Lanka, 2 in the UAE and 2 in SL. His best innings bowling figures of 5/38 was taken against them, as well as best match figures, 8/151. Also, 48 of his international wickets have come against this particular side. He picked up his 50th Test wicket in his 14 Tests by claiming Dinesh Chandimal's wicket in the first Test against them in the UAE, in the 2013/14 season. He was also the highest wicket-taker in the ODI leg of the same tour, having 13 scalps from 5 games. Khan modelled his bowling action on that of fellow left-arm fast-bowler Wasim Akram. He was also influenced by watched clips of Imran Khan bowling. In his own words, Khan is "a line and length bowler" and he believes that "if you try to be accurate and you bowl a tight line the wickets will follow." According to Khan, he usually bowls around 140 to 142 km/h (87 to 88 mph). He has the ability to swing the ball into and away from batsmen. Khan stated that during his time with Lancashire County Cricket Club he learned how to bowl a yorker and how to use swing and seam. Khan played 8 T20 games for Lancashire in 2011, taking 12 wickets, including a 3–12 spell against Derbyshire. In early 2013, Junaid Khan received offers from 3 county clubs, Lancashire, Surrey and Sussex. He said he would think about them after the Test series in South Africa, and getting clearance from the PCB. Later on, he turned down all offers to focus on the Champion's Trophy 2013. On 23 April 2014, Lancashire confirmed that Khan would be returning to play in both the NatWest T20 blast and the Royal London One Day Cup. On 24 July 2015, it was announced by tribune.com.pk that Middlesex had signed Khan for the 2015 Royal London One-Day Cup.